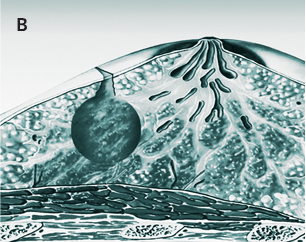 The low-energy X-ray photons used by INTRABEAM® are known for their physical and radiobiological characteristics which can lead to superior benefits in radiotherapy. The relative biological effectiveness (RBE) increases as the photon energy decreases. The increased ionization density of the radiation in the tissue leads to the relatively high biological effectiveness of low-energy X-rays in the near range. At the same time, the periphery is protected through the steep physical depth dose gradient of this type of radiation. This means that the radiotherapeutic dose can be targeted at the area of interest only sparing healthy tissue. Targeted intraoperative radiation with INTRABEAM is a risk-adapted individualised therapy. The 30-minute irradiation procedure is performed during the operation immediately after the tumor is excised. 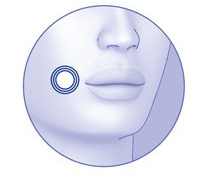 During this procedure, the isotropic dose distribution is applied directly into the tumor cavity using a spherical applicator in a way that ensures direct contact with the target tissue. Radiation is applied precisely to the area with the highest risk of tumor recurrence. The surrounding healthy tissue is spared. A: Step 1 - The position of the tumor is determined. B: Step 2 - The tumor is surgically removed. 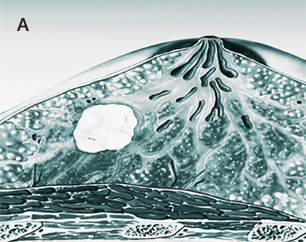 positioned on the tumor cavity in the breast. D: Step 4 - The radiation is applied for about 30 minutes. The applicator is removed and the incision closed. 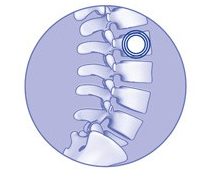 For many cancer patients who develop spinal metastases in the natural course of their disease, percutaneous kyphoplasty and vertebroplasty are a valuable treatment option. By using intraoperative radiotherapy with INTRABEAM during kyphoplasty or vertrebroplasty, the metastasis can be sterilized and if necessary vertebra simultaneously stabilized, a solution that results in reduction of patient’s discomfort. It also restores mobility, significantly enhancing the patient’s quality of life. 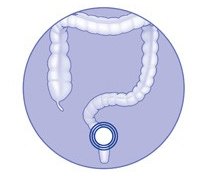 The first clinical trial experience of this approach has yielded very promising results. In endometrial cancer – the most common malignancy of the female reproductive system – the use of INTRABEAM is also feasible and has some potential advantages compared to brachytherapy, which requires complex radiation protection. By comparison, INTRABEAM can be implemented without high investment costs. First clinical trial evidence has proved that it is possible to create a homogeneous cylindrical dose distribution similar to 192Ir HDR afterloading, suggesting that INTRABEAM can be used effectively in this common female cancer. 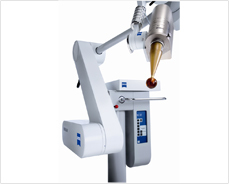 The versatility of INTRABEAM is also displayed in the treatment of skin cancer. Particularly in the treatment of non-melanoma skin cancer, irradiation is an important therapy option. 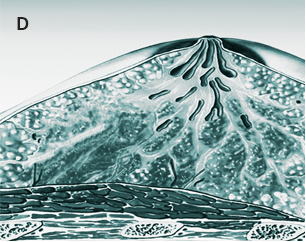 In a prospective study, it was shown that intraoperative radiotherapy with INTRABEAM was as effective in the management of non-melanoma skin cancer as conventional radiotherapy techniques. 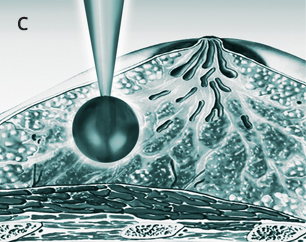 The well-known advantages of INTRABEAM – targeted radiation delivery, low shielding requirements, and cost effectiveness – also hold true for the treatment of skin cancer. Delivering a boost radiation intraoperatively with INTRABEAM has potential advantages in the treatment of oral cancers. After resection, the margins of the tumor can be sterilized immediately, which may have a positive impact on local recurrence rate. Additionally, the numerous sensitive structures in this anatomical region can be spared due to the steep fall-off of the low-energy radiation emitted by INTRABEAM. 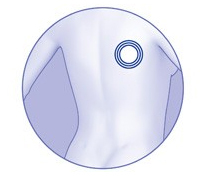 A geographical miss is unlikely since the applicator can be positioned directly in the tumor bed. First study data have convincingly demonstrated the value of this concept.